For forty years, the Shapiro Pertnoy Companies have been the choice of discriminating home buyers throughout South Florida. Designing and building the highest level of custom estate properties, their innovative, collaborative approach and unequaled quality are reflected in every project they undertake. From a spectacular 30,000 square foot residential compound in Jupiter’s Admirals Cove to the Island of Palm Beach & the equestrian communities of Wellington, Shapiro Pertnoy Companies remain at the pinnacle of building & development in luxury residential markets. Shapiro Pertnoy’s commercial buildings have been home to thousands of tenants for close to four decades. 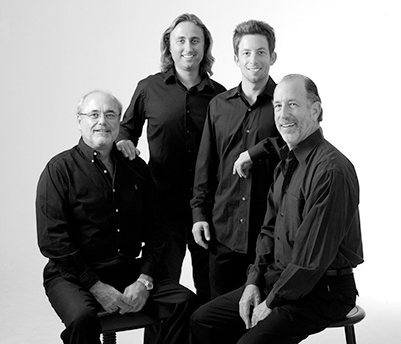 Since 1978, clients have always become extended family to the Shapiro Pertnoy Companies. Dave is bar none the best superintendent I have ever worked with in building 10 homes in my life. He is very responsive – very professional – does what he says he is going to do – extremely committed – extremely skilled. His ability to identify problems proactively and develop solutions on the fly is impressive. I have already recommended Shapiro Pertnoy to friends/associates in Wellington – in the future I will not hesitate to continue doing so. You are running a first class company. Thank you for setting the tone of what being an excellent building company looks like.